Advertising through Running and Wheelchair racing has a hugely broad audience and is seen as both Environmentally Friendly and Clean.Swindon Half has, unfortunately, failed over the last few years due to number of reasons based around ownership, timing and Location and the general change in the sport, but by being involved in the New Swindon Half Marathon, Sponsors can be seen very publically as the ‘Savior of a major Swindon Event’.The new race addresses the problems with the outgoing event, and starts and finishes in the town centre, has a largely flat course and provides the sort of the race much more deserving of a town the size of Swindon with such a massive running and fitness community.Advertising in racing has grown massively over the last decade as the popularity of the sport has increased in participation numbers by 1300% in ten years. Fitness and personal wellbeing is seen at the forefront of people’s priorities, and the new flatter layout of the Swindon Half route is both fast for seasoned runners looking for a PB, as well as welcoming to those looking for an easier introduction to the Half Marathon Distance.The New Swindon Half has had a fantastic reception, and so far has been featured, and will be followed by, Swindon Evening Advertiser, Total Swindon, Heart FM, BBC Radio Wiltshire, Swindon 105.5 as well as many other clubs and social media group outlets. 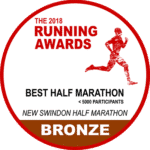 Our Facebook and Social media posts are currently receiving and audience of around 75,000, and this will be expected to grow dramatically over the race period.The demographic target for the Swindon Half is cast as a radius of 50km from Swindon, although as this event grows, we expect it to attract a regional and hopefully national audience.As with all large-scale public sporting events, the Swindon Half Marathon needs Sponsors to survive, so we have produced a series of Tiered Advertising options for companies that would like to be on board with the exciting new event. Please get in contact with us at graeme@113events.com to discuss how we can cater and tailor for your requirements. The incidence of contralateral breast keppra 400 mg cancer is reduced in breast..